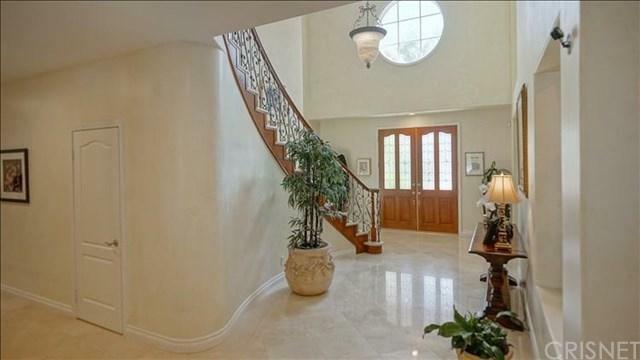 Absolutely gorgeous seven bedroom, seven bath Stonegate home nestled along the west San Fernando Valley foothills. This home has it all!! 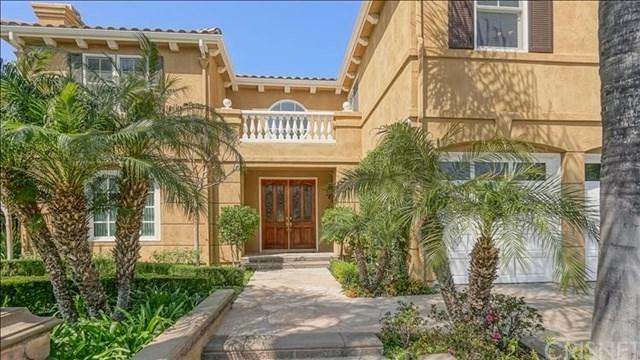 Marble floor entry, high ceilings, and a custom remodeled kitchen overlooking the exquisite backyard. The backyard boasts a beautiful pool with custom patio cover, fireplace and built-in BBQ. The downstairs of the house include two large family rooms, a step down living room with high ceilings, and fireplace, and a formal dining area. The kitchen includes a Thermador range and built-in refrigerator, a large breakfast nook, and a large center island with a sink. Adjacent to the kitchen is another large family room with a fireplace, and built-in cabinets thru-out! There is also a downstairs maids/mother-in-law bedroom and bath. As you go up the spiral staircase you enter the large master suite with a sitting area, built-in cabinets, totally remodeled bath with steam shower, walk-in closet, and large tub. There are five bedrooms upstairs, and a large library/office with custom built-ins! Three upstairs bedrooms have private baths. This is a smart home with three nest thermostats, a solar system and surround sound throughout the downstairs living area. 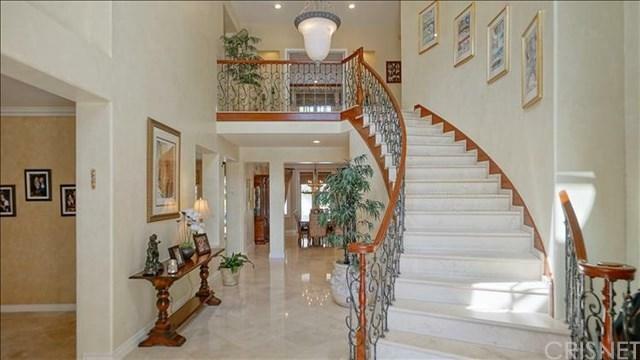 This beautiful home has been completely redone with hundred of thousands spent in upgrades! There is really too many upgrades to list them all, you have to come and view this gorgeous home! Don't miss this one of a kind estate! !